So today is election day in America for the mid-terms and that's the talk on everyone's lips. Lena Dunham and Whoopi Goldberg were outed yesterday not voting even though they took part in a public service announcement urging people to go to the polls. 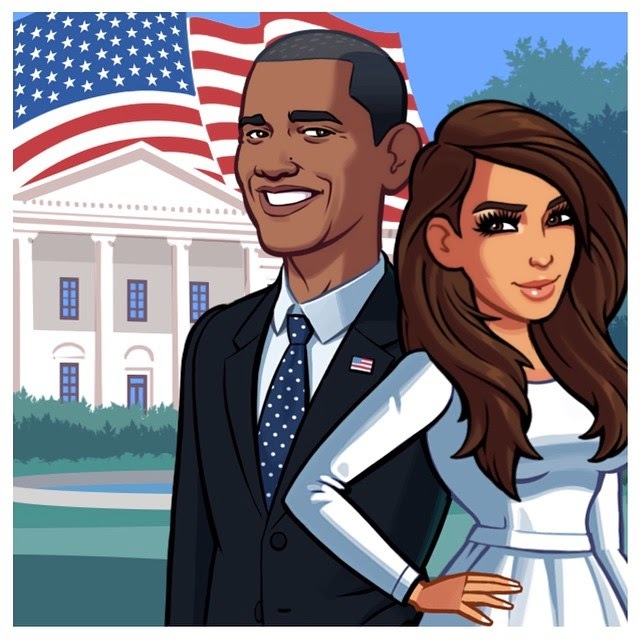 Also yesterday, Kim shared the pic above, with graphics from her game app, to say that she stands with President Obama and also does a little PSA for people to go out and vote. The question is did she vote? Did you vote?